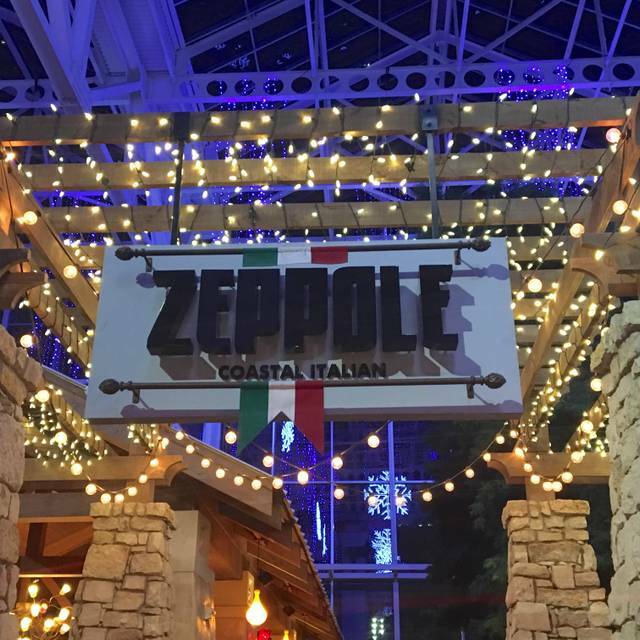 You must make reservations at least 5 minutes in advance of the time at Zeppole Coastal Italian at the Gaylord Texan. Local day guests who spend $25 or more in Zeppole will receive a complimentary self-parking validation for the resort garage. A variety of dining spaces make Zeppole a perfect choice for intimate dinners or group gatherings with the ability to accommodate up to 100 guests. Experience the fresh taste of coastal Italian cuisine beneath the twinkling of lights in an enchanting courtyard setting. 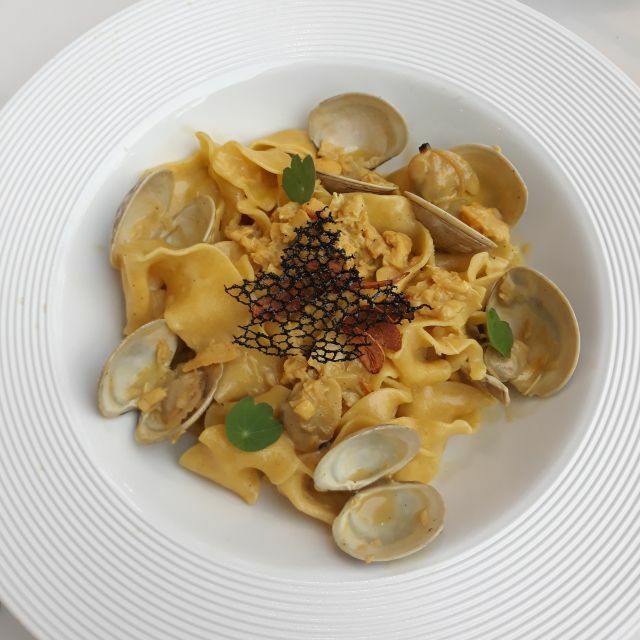 At Zeppole, you’ll enjoy traditional Italian and uniquely prepared seafood dishes. Enhance your meal with our large selection of exquisite Italian wines, or fresh baked signature Zeppole pastries. Great entree food, poor wine list, poor bread choice(this is Italian how do you mess that up), ok desert and appetizer choice. Our server was one of the best ever. She answered our questions, was attentive, super professional, and just great. Quite busy, our waitress seemed a bit frazzled. We both had the Rigatoni- worst I’ve ever had, for a very high price. More like macaroni &cheese with barbecue shredded chicken on top. Servers were overwhelmed with a large group . Very disappointing. Zeppole used to hold a special place for us. 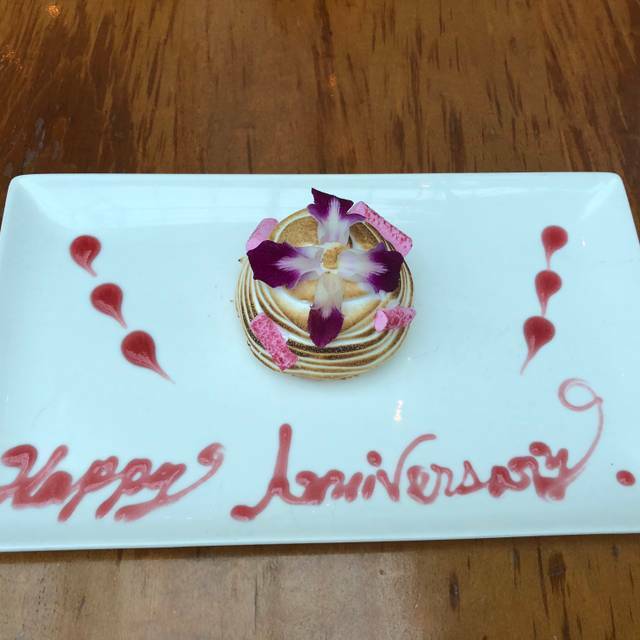 We celebrated special moments here, and came back recently for our 10-year anniversary dinner. 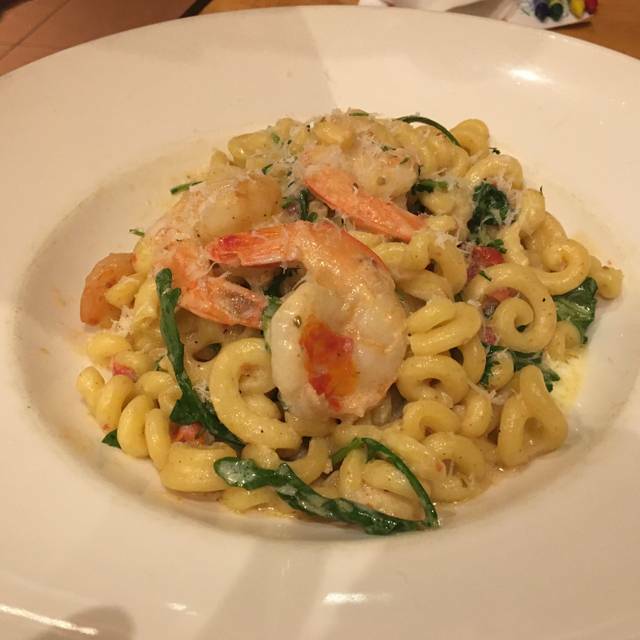 However, new management has changed nearly the entire menu, and our favorite appetizer (fried calamari) and all of our favorite seafood pasta dishes are no longer on the now shorter menu, which has shifted from "Coastal Italian" to simply "Italian." 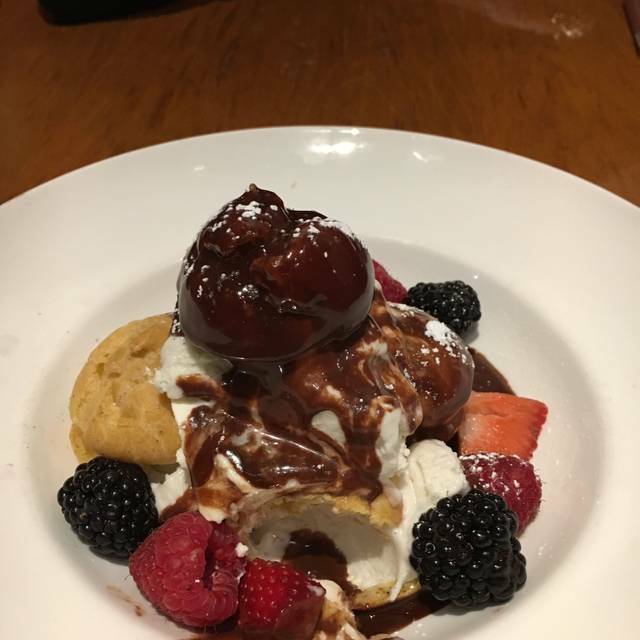 Most disappointing was the removal of their own namesake dessert, the Zeppole (fried biscuits dusted with sugar and served with chocolate dipping sauce.) None of the food we ordered was anything to write home about, and it was certainly not worth the $100+ bill. Until changes are made, we will not be coming back. Food was excellent, wonderful presentation, great flavors, and timely service. The staff was very attentive and we had a good time. Both the front of the house manager and the waiter Brett were nice, polite, and professional. My husband and I were seated away from an ongoing party so the noise level wasnt too loud. The food was hot when it hit the table, I had the pappardelle pasta dish, my husband had the Lasagna,and with recommendation had the Tiramisu dessert. It was fluffy and light, but a tad bit sweet for me, but the pasta was cooked well, nice seasoning, and the clams were cooked just right. Great food great selection totally authentic Italian. Nice place family and dates. Enjoyed the walks after the dinner, and the area in general. We have passed by this restaurant while staying at the Gaylord multiple times in the last several years but never tried it. On a whim we decided to try the Valentine's day deal. After making the reservation a month in advance, we started reading some reviews and had very low expectations going in. Once we got there we were blown away by the experience. The first course was and Antiposto with various meats, cheeses, olives, etc along with different kinds of bread and dipping oil. It was absolutely delicious. The second course was even better than the first and the meal just kept getting better right up through the dessert. I would venture to say in my 50 years of living that this was likely one of the best meals I have EVER eaten. (It should be noted that I grew up in an east coast Italian family and I know good Italian food) The service was exceptional as well. We plan on going back in the next two weeks. Thank you to the chefs and the Zeppole staff for making this a very memorable Valentines Day Dinner. Had to leave after two hours to go eat somewhere else because our food never came! Great Italian food! Some of the best Italian I’ve had!! Now that they do buffet, you pay more for less quality. We loved this place when you ordered from the menu. The food quality was better and since we don’t eat a lot it was easier to share and not spend a fortune. BAIT AND SWITCH. Christmas dinner booked on OpenTable 4 weeks in advance. I looked at the menu and prices. The menu items were Italian cuisine. Nowhere did I see the word BUFFET. A reminder email from OpenTable said to ‘get excited!’ I kind of did. My husband even wore a jacket. Food stations were scattered throughout the dining area. One had corn dogs and fries. Picture the food court in a mall. Terrible, disgusting, sad. The manager stated they went to a buffet style until January 1st. He said this was noted on the Hotel website but ‘didn’t know’ about OpenTable. Right. We did not realize the restaurant has gone to a buffet style so we expected to be able to order from the menu. We had reservations for Christmas Day so it wouldn't have been easy to make other arrangements at the last minute. We were feeding four somewhat-particular teens and the two adults were gluten free, eliminating a sizeable amount of the buffet from our choices. Food we COULD eat was lovely, but the value just wasn't there. Went for Christmas Brunch which was a buffet. Had a lot of food to choose from. Wish I could have eaten more. The flavors were good and food beautifully presented but almost everything in the Christmas buffet was cold. Wonderful Christmas brunch, better than expected. Our server and all the staff were excellent! This was our third year in a row to do the ICE exhibit at the Gaylord in Grapevine TX. Myself, daughter, son-n-law and 2 grandchildren. Each time we have had dinner reservations at Zeppole's. 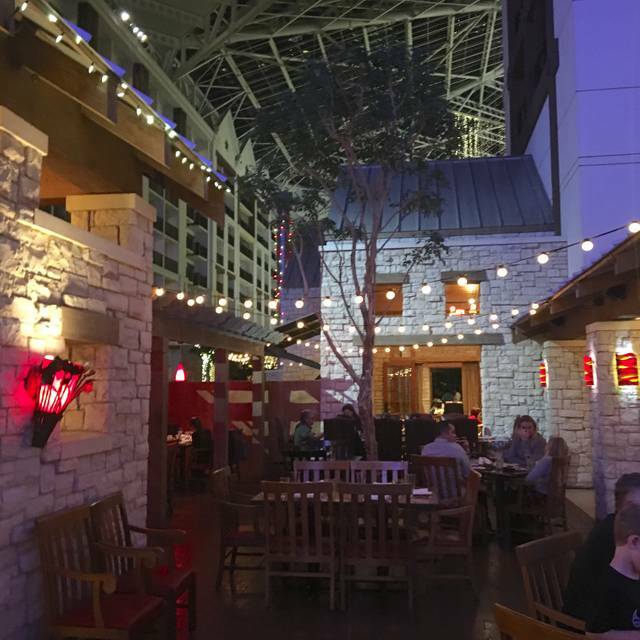 This year they changed to a "Buffet Style" service instead of seated, menu based dining, which we prefer as we have 2 small children with us, and besides that, enjoy being served after walking around all day enjoying the Gaylord. This change to buffet style dining was not on their website and we were not made aware until we were seated. Our reservations were made well in advance and we received no notification that we would not be able to choose our dinner from the menu. The food, service, atmosphere and overall value was lacking in comparison. If this is going to be the norm going forward, we will rethink our dinner choice next year. Although we made reservations months in advance, we showed up to the hostess stand to be told they no longer take reservations and that they remodeled to a buffet. They were able to accommodate us with a table but they were not prepared for the holiday crowd or for those that had reservations previously scheduled. On top of that, knowing that kids eat a little bit, the kids price for the buffet was way overpriced. The food was good and the server was good but the initial experience was disappointing even after we’ve been coming there for years. Very disappointing! We dined here last year and enjoyed it, however it was changed to a buffet format from table service. The options for entrees was limited and other than carving station, sub par. Beef was some attempt at Tar Tar, I guess, as it was extremely rare and inedible. Big reliance on pasta dishes which we don't eat on a keto diet. Almost all the tables (same location for breakfast) were in high traffic areas, particularly the larger tables. So dinner conversation was nearly impossible. Service relied on buffet, so not real visible. Options for kids were decent with pizza and french fries. Very poor communication prior to dining. I tried over ten times to contact them and left 5 messages on their direct extension. My calls were not returned even though they left a message that they needed to talk to me and let me know they would not be honoring their menu posting online but instead having a buffet and to please call with any needs I might have. I must admit my expectations were pretty low but the experience in person was really very nice. Due to crowds at the hotel, the restaurant was serving buffet. Not sure if this is all the time now or just during hotel busy times. At $30 for adults and $20 for my kids, we did not get any value (especially from my kids) for this meal. Restaurant was much better with the menu service last year. Food selection was ok with salad bar and cheeses. Entrees were just ok and desserts were reasonable. I would not return based on the price and what was offered. Very disappointed in our service. We asked for steak knifes and waited 15 minutes till we finally got them. I also had to pour my own water since waiter was not coming to table. We had a total of 8 people and they added 20% gratuity to the bill which we did not feel waiter deserved. The hostess stated she told manager about it, however he never came to our table or consulted with us about our bad service. This was our daughter's 9 year old bday celebration and it was not the best experience at all. Food was good, but I would not recommend this place what so ever. I will never go back here again. So disappointed considering it was buffet and waiter still couldnt attend to our needs when asked. This was the second time that we visited. The first time we visited, the food and service was mediocre at best. Now for Thanksgiving we ended up here because we couldn’t get into Old Hickory Steakhouse; the service was literally non-existent and the buffet was, at best, mediocre. We will NEVER eat here again. The hotel informed us that the restaurant was under renovation and it would be adopting a buffet format which we were looking forward to. Unfortunately the appetizers consisted mostly of dried out cheese and basic salad-not particularly Italian in nature either. There were several options for entrees all of which were ok. The dessert bar was disappointing -overly sweet pre packaged cakes and the tiramisu just wasn’t tiramisu. Our server was good and we had a lovely bottle of wine but the food was a let down. The price of the buffet had also been increased due to the holiday and did not offer good value. My sister did recommend this spot so would recommend waiting until they return to their full menu before visiting. Zeppole has always been a family favorite. We come once a year. This year was a let down. The menu has changed down to nothing, missing staple Italian items. The restaurant was not very crowded, and yet the service was poor, the appetizers came with the meal. Only once did we get a refill on our water. I hope they get back up to par. Service and food was okay. Not much to choose from on menu. Fair experience. Hubby and I ate here for our 5 year anniversary while staying at the resort. Karen was our server and she was amazing and went over and beyond to make our 1st experience memorable. When we first walked-in, we realized it was more of a casual style restaurant verse upper causal/dressy restaurant and we were kind of over dressed. LOL’ But we wanted Italian food VS a steak so it worked out. 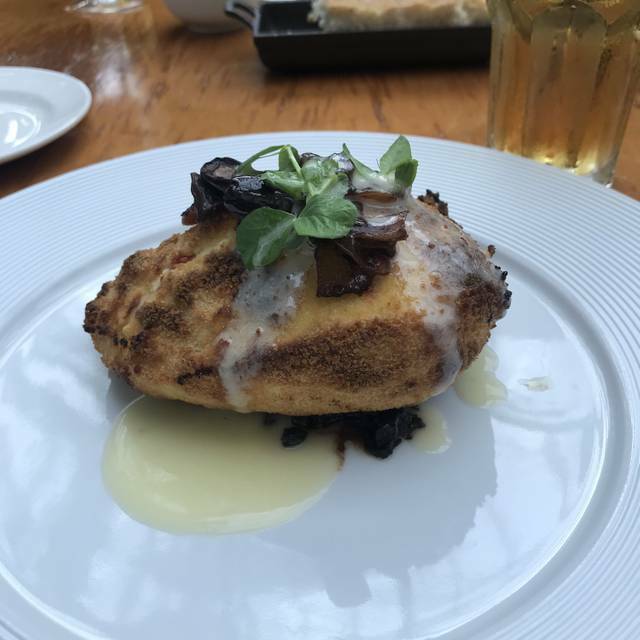 Nonetheless, I had stuffed chicken breast with fettuccine Alfredo pasta. My favorite. It was delicious. And the dessert was delicious. Food was great. We take a family vacation every summer for our daughters' birthday to Gaylord Texan and Zeppole is typically the restaurant of choice to celebrate one evening. The food is always good but the menu at the moment is not my favorite. There are some good selections but would like to see more pasta options and an expanded dessert menu. I had the bone-in ribeye and it was very rare, I ordered med-rare, and lacked any notable impression other than size. This visit was just not quite up to the price tag level. Service and ambiance are always enjoyable and the wine list is impressive!! We will be back in hopes of positive change. They were out of scallops. Chicken was not cooked all the way through. Food was Awesome, best scallops I've ever had. Red Potatoes were great, even better the next day with my eggs. Waiter was great and did an awesome job. thought service was a little bit slow with main course but not an issue. Overall most Excellent, can't wait to go back. Oh, the dessert, man O man. Don't get one to share, eat the whole thing. I found the menu unimpressive. The food was mediocre at best. Maybe it was just what we ordered - presentation and flavor not in line with cost. The pizza was very greasy and the ribeye had an unusual seasoning. The crispy chicken is wonderful as well as the scallops. Service was fantastic. I booked this venue to host clients while attending a recent conference. When we arrived the venue was closed. No one from the restaurant tried to contact us. We ordered the bone in ribeye ($40) medium rare, came out med+. They offered to make a new one, we declined b/c we were there with our children trying to get an early dinner so we could put them to bed. The kids pizza had to be remade as well. Came out with cheese burnt black, sent it back & the next one was not as burnt but the crust was still white, not a nice golden brown. We had 2 glass of wine & 1 cocktail, prosciutto app, bone in ribeye, scallops, & dessert. 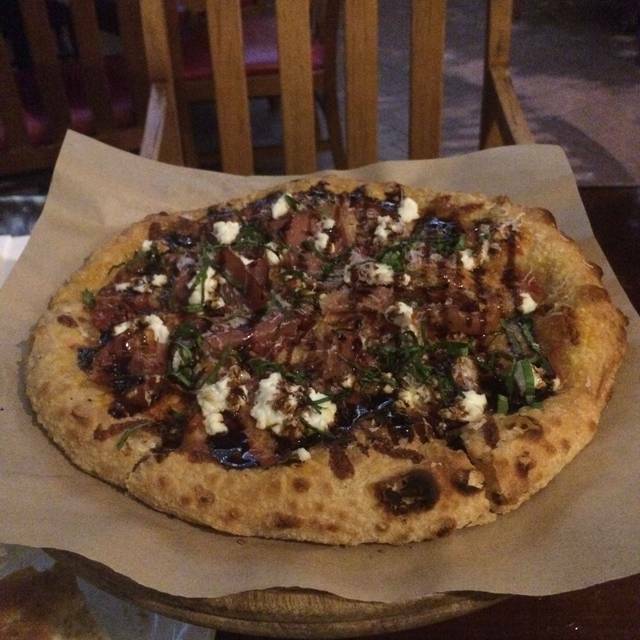 $175 (not including tip), that included the 20% discount for the burnt pizza & over cooked steak. Really poor food for the price.